When Western tourists think of new countries to visit, Iran doesn’t usually get a high position on that place. Many foreigners think of the country as an extremely conservative theocracy. Being named a member of the so-called “Axis of Evil” by a former President of the United States didn’t help the country’s international reputation, either. 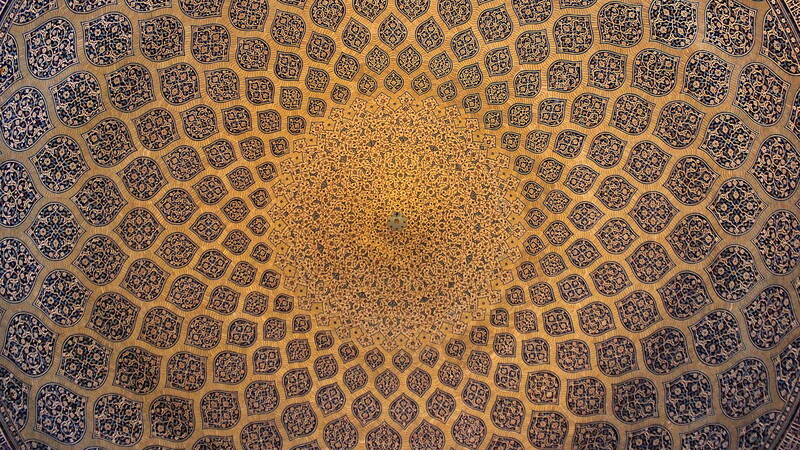 My trip was a guided tour of Iran by a British travel company. The sample of participants in our tour told a lot about Iran as a tourist destination: all nine members of our group were already experienced travelers. Five of us – including myself – had even visited North Korea before Iran. I guess that illustrates quite clearly how marginalized tourist destination Iran is. There a lot of misconceptions about Iran. Let’s correct one straight away: no, Iran is not an Arab country. Yes, the main religion of Iran is Islam. Persia, as Iran has been historically called, was conquered by Muslims in the 7th century and Islam has been the main religion of the country ever since. But as many people in Iran like to point out, the history of the country goes way beyond the rise of Islam. The high point of the Persian empire was during the reign of Cyrus the Great, who created the largest empire of hist time during 6th century BC. 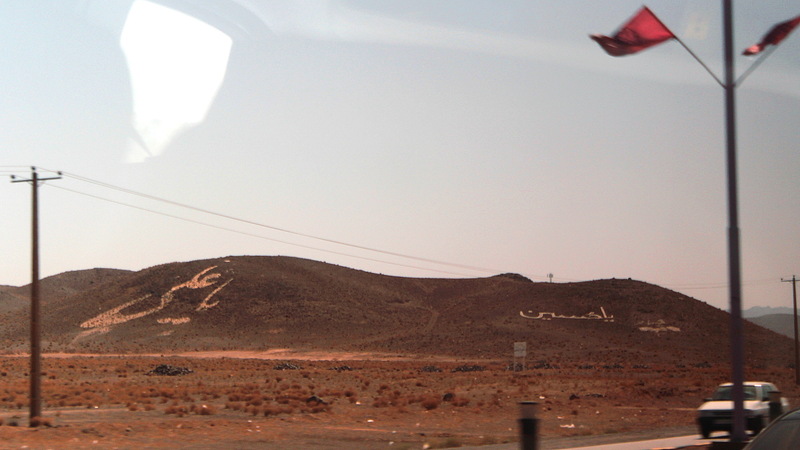 We asked our tour guide if the huge writings on mountains were passages of the Quran. No, he said. The one we pointed at was a hotel advert. Calling Iran a tightly conservative Islamic state isn’t exactly true, either. While women have to cover their heads, the grip of the religion is not as tight or oppressing as many Western people think. For example, while 99,4 % of Iranians are muslims, our guide estimated that only half of them fast during Ramadan. 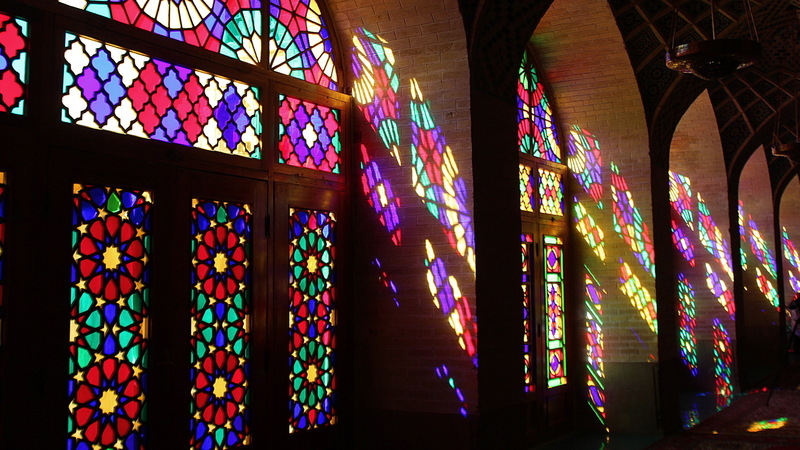 Iranians are mostly quite tolerant about different beliefs, especially the other Abrahamic religions, so Zoroastrians, Jews and Christians can practice their faith freely and they even have reserved seats in the Iran parliament. A visual difference between Shias and Sunnis. 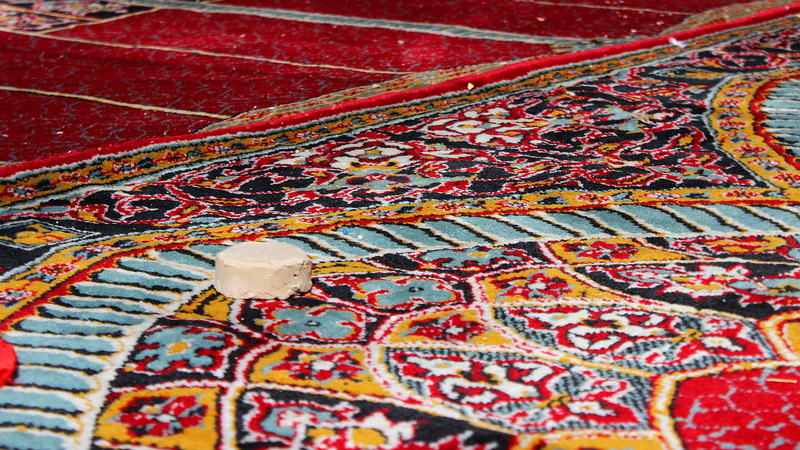 Shias touch this clay disc called Turbah with their forehead as they pray. Not many Westerners know the difference between Sunni and Shia, the two main branches of Islam. This may also cause some misconceptions about the religiousness of Iran. Most people in Iran are Shias and they consider themselves to be the less strict and more tolerant of the two groups. 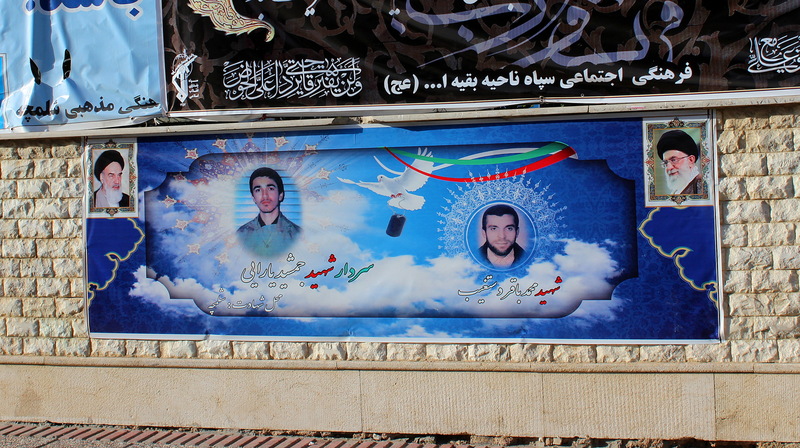 While Shia is the main branch in Iran, Sunnis internationally outnumber Shias. Wherever we went, the locals wanted to talk and take pictures with our group. I usually let the more social American and British members of our group do the talking and enjoyed following the interactions from a distance. Of course, a country wouldn’t be anything without its people – and this is where Iran truly shines. I don’t remember any other countries where the locals would be as welcoming and genuinely happy to see you visiting their homeland. Many other members of our guided tour group, even those who had seen a lot more of the world than I have, said the exact same thing. Iran doesn’t get a lot of tourists, so the few foreigners get a lot of positive attention. 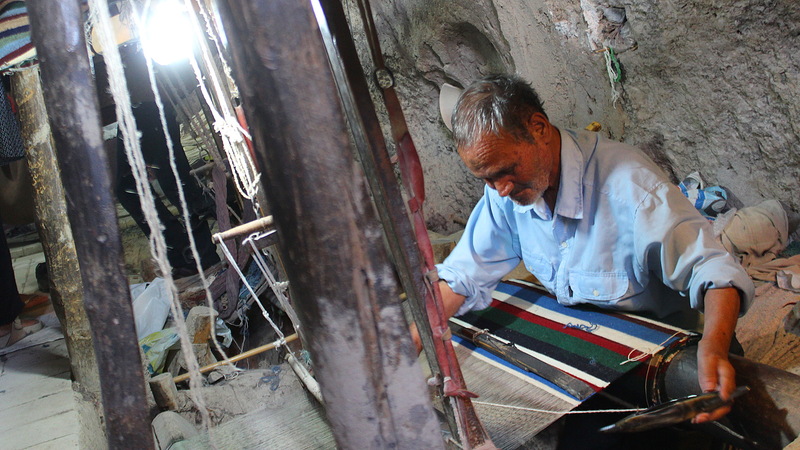 This 80-year-old carpenter had his ancestors doing the same job for at least 500 years. Now times have changed, and his sons are doing something else to make a living. 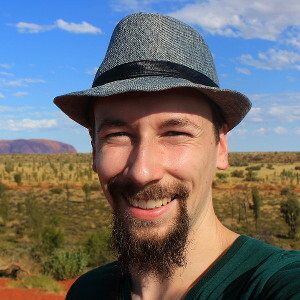 I was on a guided tour of Iran so I didn’t try CouchSurfing in the country, but I’ve only heard good things from those travelers who have done it. One of our guides in Iran said that travelers who go to Iran get numerous accommodation offers from locals and I believe her. She also told that she had to turn down many locals who’d come to her and ask if they could invite our group to a dinner at their home. I’ve said it before about other countries, but I have to say it again because it is an universal truth: people in Iran are similar to everybody else. 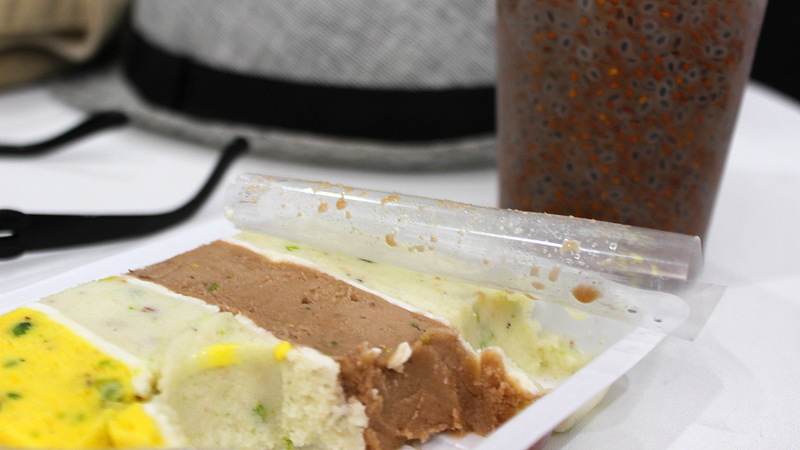 The culture may be different, but the basic human element is always the same. The more you travel, the more clearly you start to see this. In an old video game called Castle Crashers, there is a level inspired by Middle East where you first fight a bunch of bad guys and monsters until the stage ends in a volleyball match. 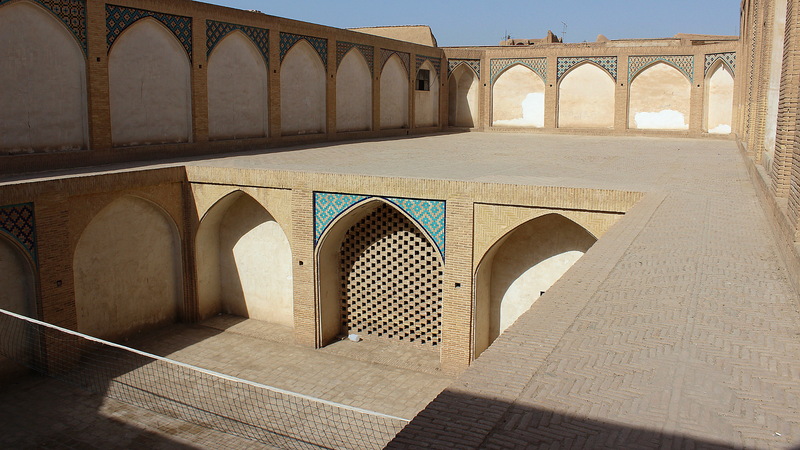 I thought the match was completely random, until I saw this volleyball field at the back of a mosque in Kashan. I loved the moments when Iran tore down my stereotypes and expectations: when I noticed how the walls of one mosque were covered with drawings and writings done by kids, when our guide told us he doesn’t want to get married because he enjoys his freedom, or when a local girl smiled and winked at me at a restaurant. 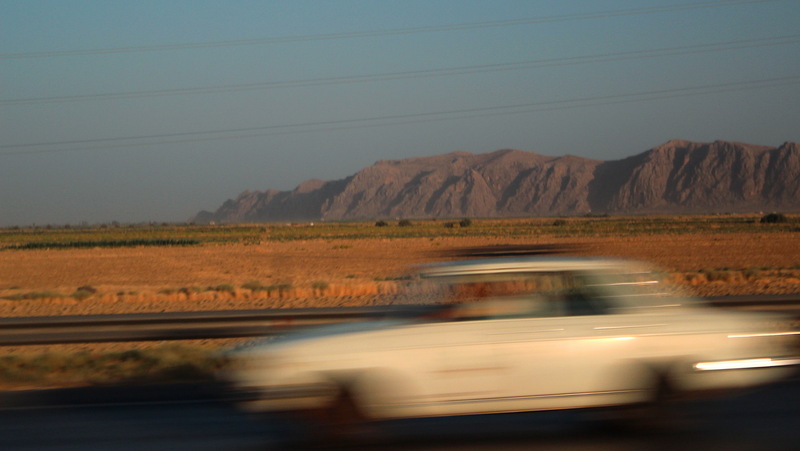 Traveling in Iran in July: From shade to shade and air conditioner to air conditoner. 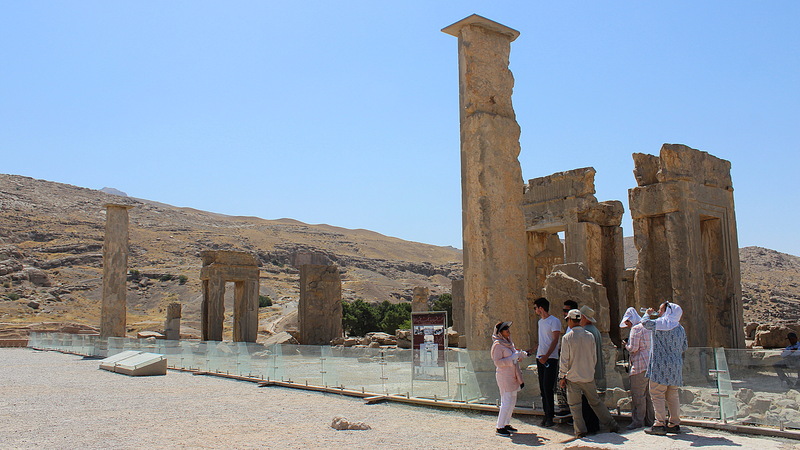 Here, our guided tour group shows how to do it at the ruins of Persepolis. The thing that worried me most about visiting Iran on a guided tour wasn’t my safety, cultural collisions or anything like that. No, it was the weather. Iran is a hot country and the July is one of the hottest months when the temperature can climb up to over 43°C (110°F). That being said, the temperature wasn’t as bad as I had worried. Yes, it was very hot outside, but it wasn’t too humid. And usually it’s the humidity, not the temperature that makes the heat unbearable. Shades offered some relief and the buildings were built in a way that it wasn’t uncomfortably hot inside. One of the buildings that was used to store ice. Inside, the building consisted only of a huge room with the floor deep below ground level. 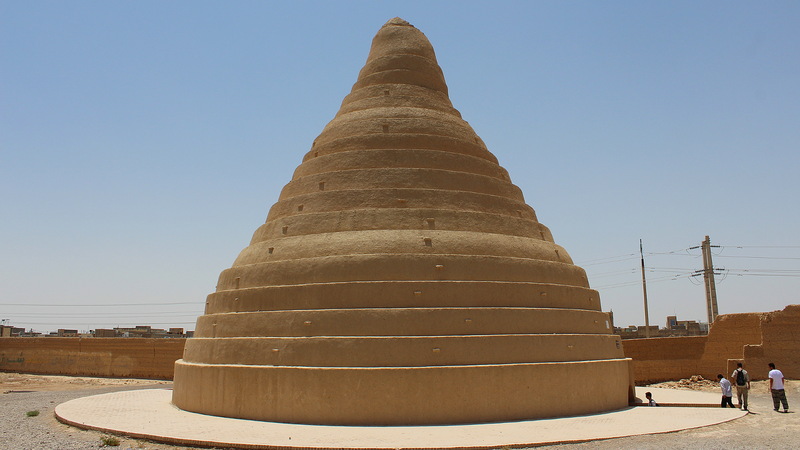 The Persian civilization had learned how to cope with the heat for thousands of years, so many of the local inventions were made just to tackle this problem. Old buildings had wind towers that would bring cool air to the inside, many houses were built in caves and even the smaller towns had thick-walled buildings constructed just to store ice all around the year. 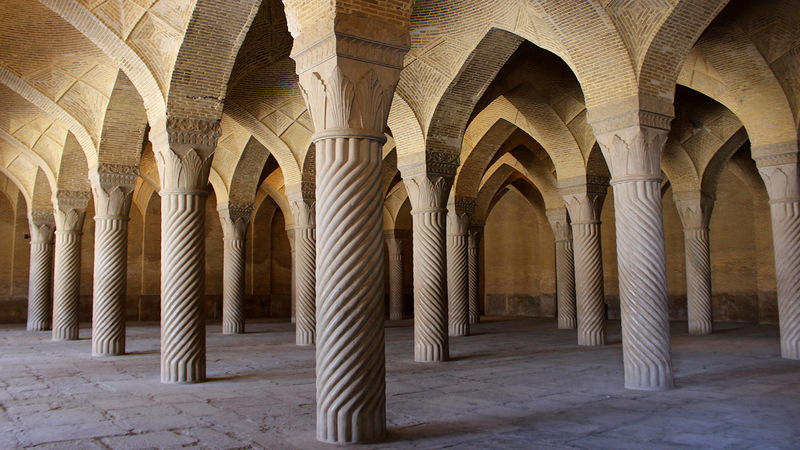 The long history of Iran is clearly seen when you look at a list of the most popular sights of the country. Mosques, bazaars, ruins, gardens… Various architectural monuments from a time period of thousands of years. Iran is the most picturesque country I’ve ever visited, although only few of the sights actually reveal their beauty in pictures. The mosques and other structures are just too big to really fit on a single frame. 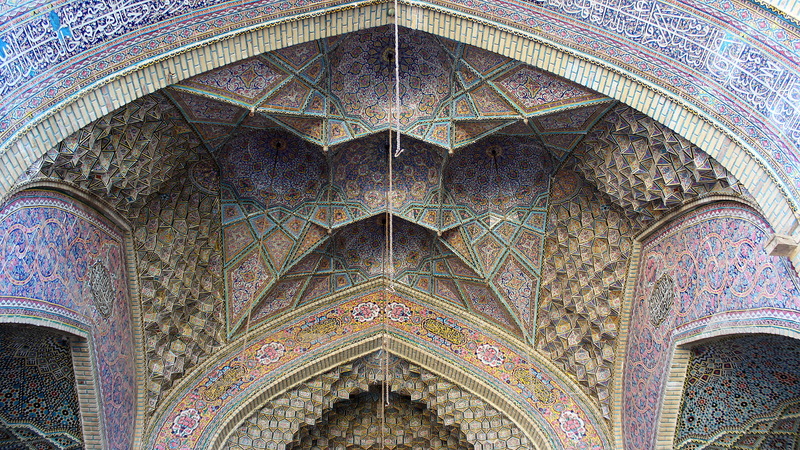 Ceiling of the Pink Mosque, one of the most famous mosques of Iran. Because the sights of Iran are not so well known in other countries, seeing them for the first time can be a positive surprise. Still, I have to admit that there isn’t too much variety in the higlights of a guided tour of Iran. After a few days intense days of traveling, seeing yet another massive mosque didn’t really impress anymore, no matter how great or unique it was supposed to be. Persepolis used to be a marvelous city. That was some time ago. The ruins of Persepolis were an example of a historically significant place that didn’t really have that punch when you visited it for real. Yes, you could see how impressive the place had once been and the carvings and statues that remained were fascinating, but the ruins just weren’t that mindblowing. After all, all that remained of the place were the pillars, stairs and other stone formations that had lost all their original vivid colors. 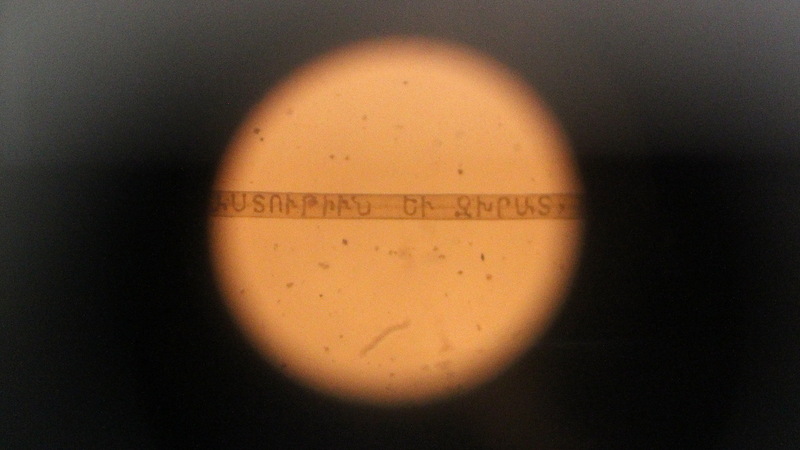 The exhibition of the Armenian Genocide Memorial in Esfahan included a hair that an Armenian sentence written on it because… well, why not? For one week, our tour bus the most constant object of my traveling life after the contents of my backpack. 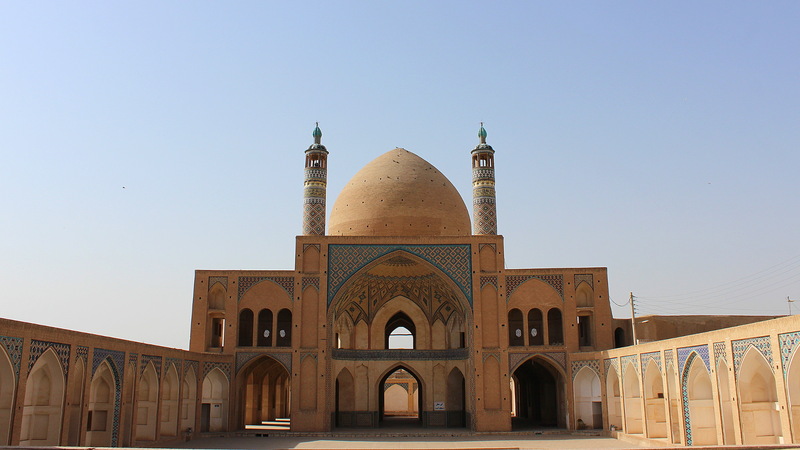 My guided tour to Iran was arranged by a British travel company called Lupine Travel – the same company that I had previously used for my tours in North Korea and Chernobyl. For British, Canadian and US citizens, taking a guided tour of Iran in is currently the only legal way to visit the country. These people must have a guide with them at all times, so they cannot explore the country freely. Personally, I felt like the tour was the best way for me to visit Iran. Because I’m visiting so many countries during my trip, I wouldn’t have had the time and motivation to find out by myself what I should see in Iran. As I didn’t need to think where to go or what to next, I could just turn off the frontal lobe of my brain and follow the herd wherever they went. This served as a very welcome vacation from all the responsibility and active planning of independent traveling. 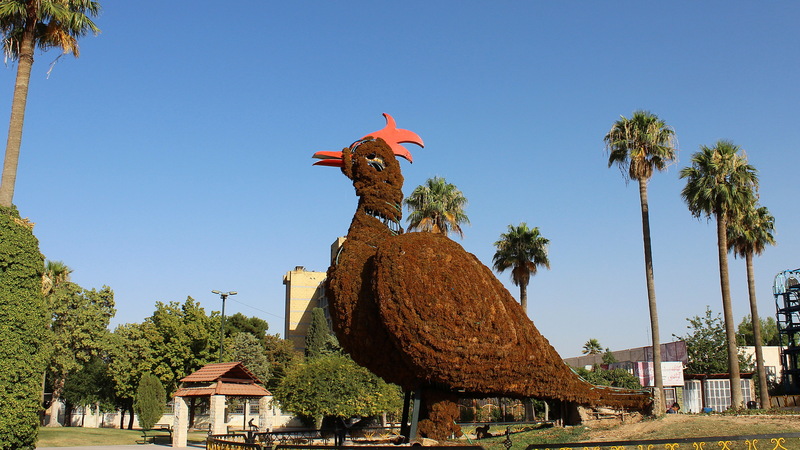 The giant chicken of freedom. The tour days were long and we didn’t have much freetime, so I didn’t really feel the urge to venture anywhere on my own. Only once did I go for a short walk to a nearby park in Shiraz. This is what I found there. I also enjoyed the stability that the guided tour of Iran brought to my vagabonding life. It was nice to break the constant flow of introductions and farewells just to spend a longer time with the same group of people. It also helped that I really enjoyed the company of the other tour members. The travel experiences, talks and inside jokes we shared made me feel very grateful to have met such wonderful people. Our guides were also great people who could give answers to all our trivial questions. The guided tour of Iran was great, but it wasn’t flawless. 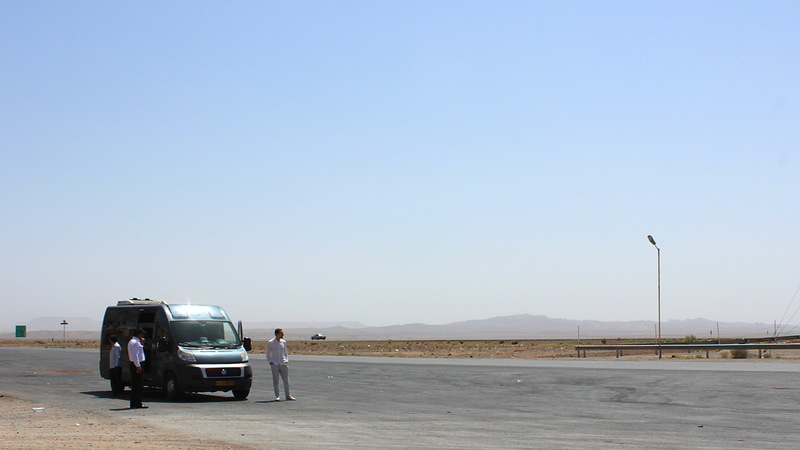 The quick pace of the tour meant that when the week was over, I felt like I had seen enough of Iran for a while. The endless touring would grow a bit tiresome after countless hours of sitting in the minibus and looking at mountains and desert landscapes roll by. The tour company had also decided that our original tour guide would only be us for the first five days and a different guide would show us around our last destination, the city of Shiraz and its surroundings. 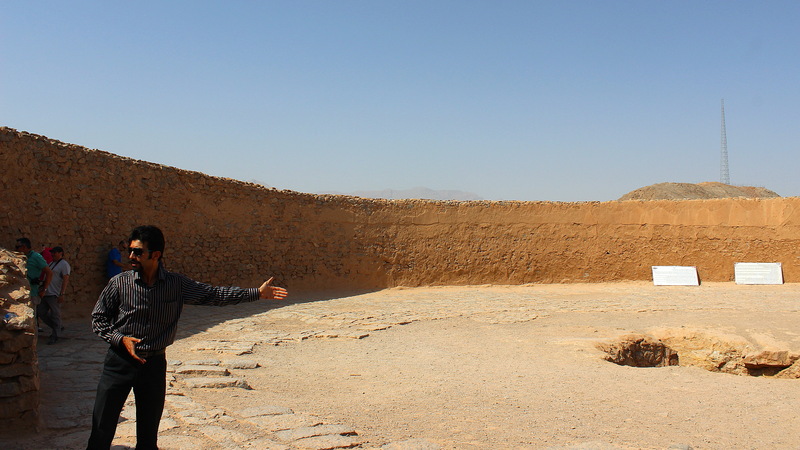 Our original host Mojtaba telling us about a Zoroastrian Tower of Silence, a site where corpses were put to be eaten by animals. There was nothing wrong with our second guide. I just wasn’t pleased with the change that came as a surprise to us. 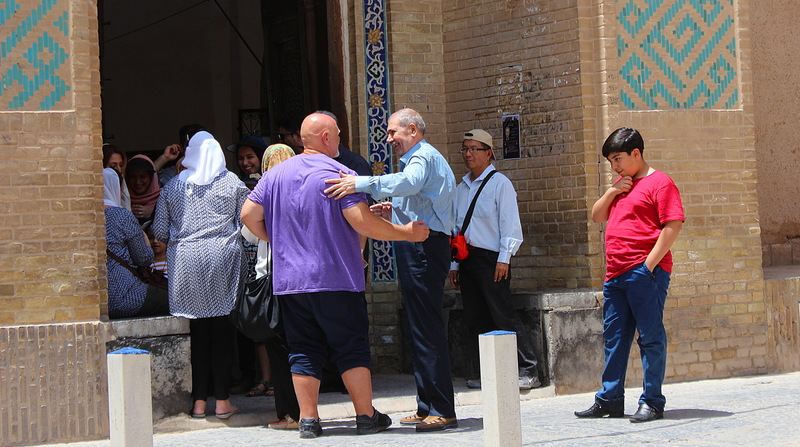 We had developed a bond of trust and a certain way of doing thing with our first guide, so a sudden change of the way things were done at the end of our guided tour of Iran was met with scrutiny from our tour members. Unavailable items on restaurant menus became a running joke within our group. My record was changing my order three times until I found a meal that was actually available. While I recommend Iran for travelers, there are also negative sides that I have to mention. The first one is the classical first world problem of improperly working WiFi. None of the hotels we visited had internet connections that would work reliably and flawlessly. My mobile phone could connect to internet quite often, but I never got my laptop online for more than a few minutes. The WiFi networks in hotels require usernames and passwords and restaurants usually don’t offer any online access at all. Internet is also restricted in Iran, so accessing Facebook required bypassing the restrictions with a VPN software. The pictures of the Supreme Leaders of Iran are visible everywhere. The cult of personalities reminded me a little bit of Norh Korea. In this poster, the two leaders are joined by two assassinated nuclear scientists. And of course, the unreliably internet access isn’t even the biggest human rights violation of Iran. While the government mostly accepts other religions that are older than Islam, the newer religions don’t have such a good position. As the Quran clearly states that Muhammad is the last prophet, all religions that come after Islam are considered manmade humbug. For example, members of the Bahá’í Faith have had their graveyards destroyed by the government. So the religious freedom of Iran has its limitations. American Human Rights. The Statue of Liberty holds a gun in one hand and pictures of the “nuclear martyrs” of Iran in other. While the relations of Iran and the West have seen some positive development, they are still far from neutral. This was clearly seen in the many propaganda posters spread around the country, many of which were directed to foreign visitors in the country. 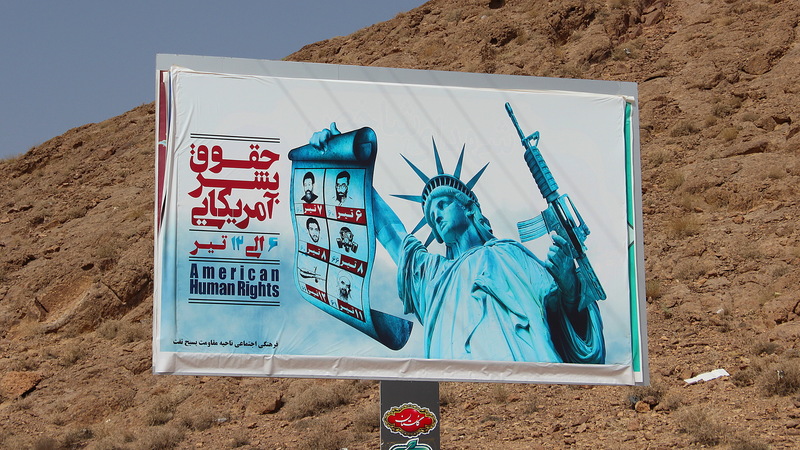 One billboard written in English went as far as to claim that all problems of Iran were caused by Western countries, especially United States. While some messages had valid points, the way they were expressed gave an uneasy feeling. So, all being said, did I like my stay in Iran on a guided tour? Yes. The great thing about visiting a country like Iran that you learn something new every day, because so little of the culture is widely known in the West. Iran is not a paradise, but it isn’t the great evil some claim it to be either. The truth is not black or white, and picking the right shade of grey is best done by seeing the place with your own eyes. And from what I’ve seen, the people of Iran are leaning more on the good side. Thank you! 🙂 I like these pictures too, some of them are my favourites from the trip so far. I was surprised that you decided to join a tour but in the end you explained it well. About the down sides, I can imagine how tiring it is to get information all through the day and day after day. I was enough after a three hour tour in Persepolis! I have to admit I envy you a little bit. For your age you seem so professional: Your English is perfect, you write well and your photos are like from a travel magazine. Well done! Thank you very much UsvaAuer! You’re making me blush here. 🙂 I’ve had good mentors for writing and photographing. Switching from Finnish to English was a big leap and I still need to rely on a dictionary sometimes, but it’s getting easier with experience. 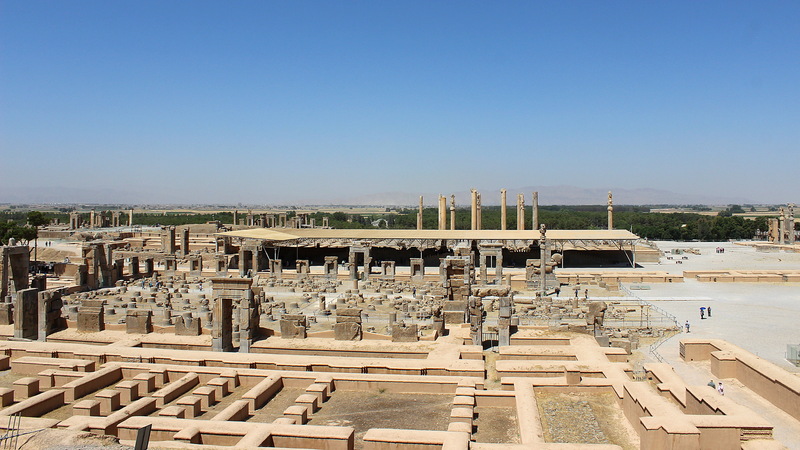 Persepolis can be pretty tiresome, especially if it’s hot! There aren’t too many chairs or shades there.